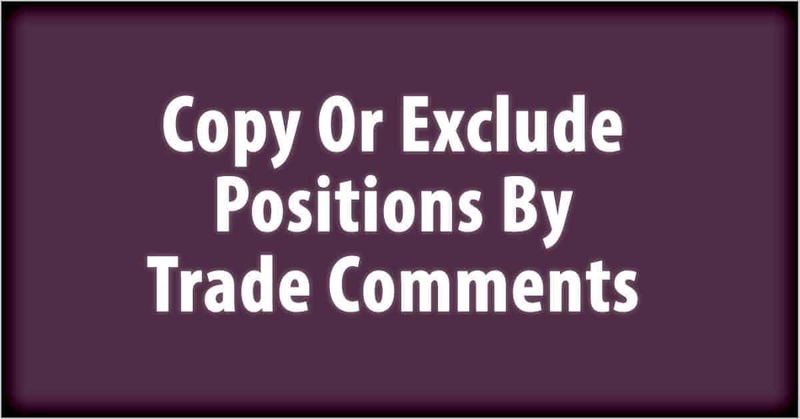 My trade copier allows to copy only certain positions by the trade comment seen on the master account. You can also choose to exclude certain positions from copying. You can enter multiple trade comments which must be separated by the character set in the TradeCommentDelimiter. Default separator is comma. As you can see in the image below, they all are comma separated and set in the FilterTradeComment. In other words, any positions on the master account will be excluded and not copied to client accounts if they have trade comment with any of the text set in the ExcludeTradeComment. In this case we use semicolon as separator, because it happened so that one of the trade comments have comma included. This means we cannot use comma as separator because it will interpret the text incorrectly. If the master account you want to copy trades from runs multiple strategies you can always exclude them if there’s an option to recognize them by trade comments. 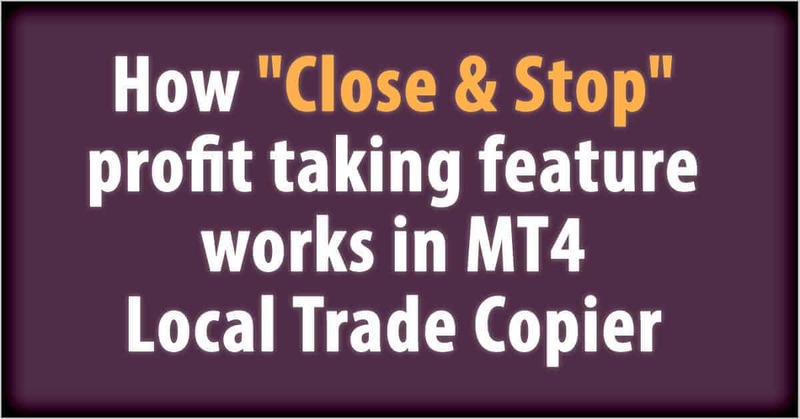 Local Trade Copier helps hundreds of retail Forex traders and account managers replicate trades from one MT4 account to another since 2010. And believe it or not, filtering trades by comments are mandatory settings for many traders. I believe if you just put ‘strategy’ in ‘filtertradecommet’ the client EA will still copy all trades with comments ‘Strategy1, Strategy10, Strategy5’. In addition if I only try to filter by entering ‘strategy10’ in the comment, client EA will still copy all strategies ‘Strategy1, Strategy10, Strategy5’. Please confirm, How can I filter exact ‘comments’ overall, not partial one? Hi, I am afraid you cannot filter exact comments.